Quickpoint is actually needlepoint or bargello achieved with thicker yarns on a more open mesh canvas (the squares are bigger). Like the Jiffyknits in the 70's, this style of stitchery was popular with beginners and crafters that wanted to do an easy, quick project. Creative stitchery in all forms is becoming popular once again as it is portable and relaxing. With the variety of chunky and textured yarns available, you can stitch up a pillow top in no time. Read on for inspiration and the kinds of readily, available yarns suitable for this kind of stitchery. Inspiration is all around. 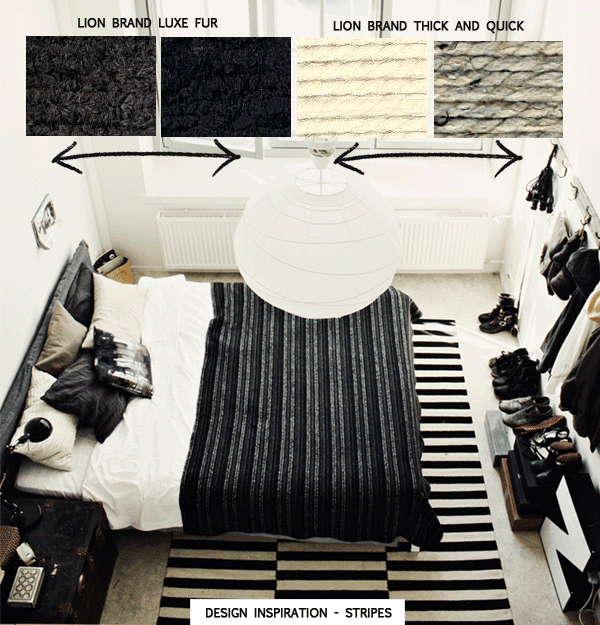 In the image above both the rug and blanket are a source for design. 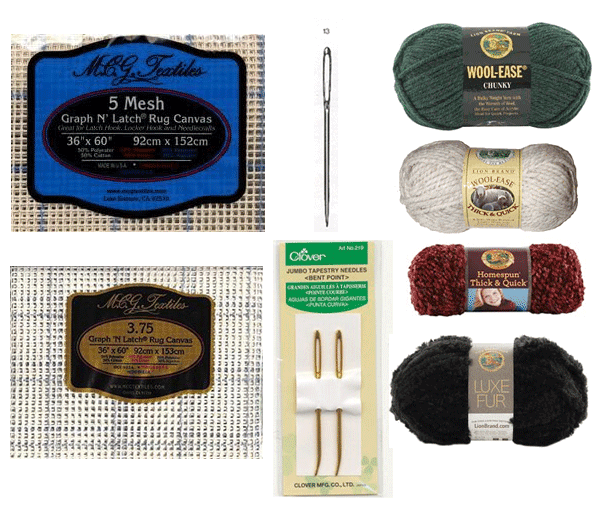 The yarns illustrated (a good weight for the 3.75 mesh or rug canvas) are available at Michaels Craft Store, are smooth and textured for contrast. All smooth or textured yarns would be fine as well. Cut 4" pieces of canvas to work out a design you like. Try working 1 row in each of the illustrated yarns for high and low texture. Alternate 1 row each colour of all smooth yarns or all textured ones. You could also try 1 stripe of colour with the neutrals. The possibilities are endless. Canvas Source - McGTextiles - Manufacturer of needlepoint canvas in the 5 mesh and the 3.75 mesh size. Yarn source - lion Brand Yarns - There are many yarns available in the marketplace but this is a good place to start. 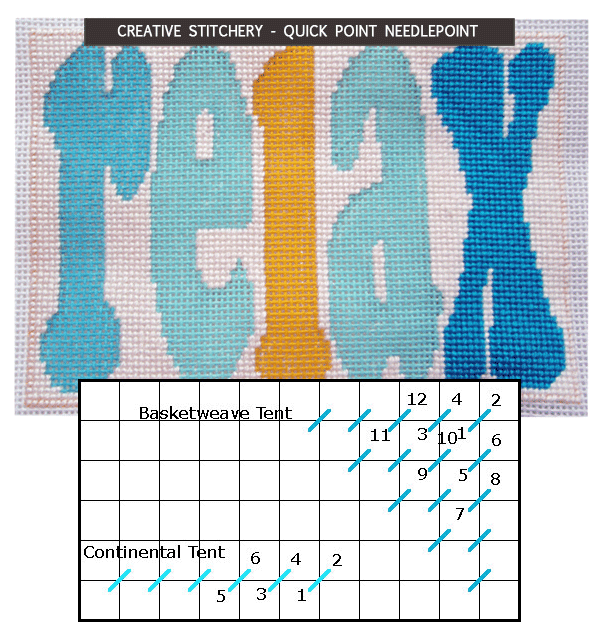 Helpful Needlepoint Tutorials - Needlepointers.com - All kinds of tutorials for help.